Here we go Moon-goons, we’re going big for our 150th episode! This week we’re getting sentenced to hell and locked up in the “Death House”. The movie that has been dubbed “The Expendables” of horror features pretty much every name in horror that you can think of, horrible CGI, terrible dialogue, immortal super powered villains that look like they’re from Krypton, and a surprising lack of gore. However, it will leave you confused, angry and very disappointed, so yeah there’s that. 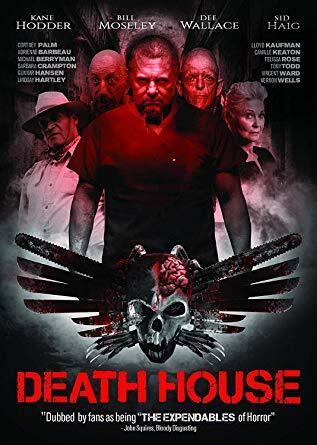 In the end when the dust settles will we give “Death House” a pardon or will we give it the death sentence? Here’s a hint its the latter.